Abbey Badges is a specialist premium quality badge manufacturer. They have worked with both local and international clients providing a high end service on time and within budget. The challenge was to create a corporate website that kept their traditional values while also giving it a corporate edge with modern means of communication and interactivity. 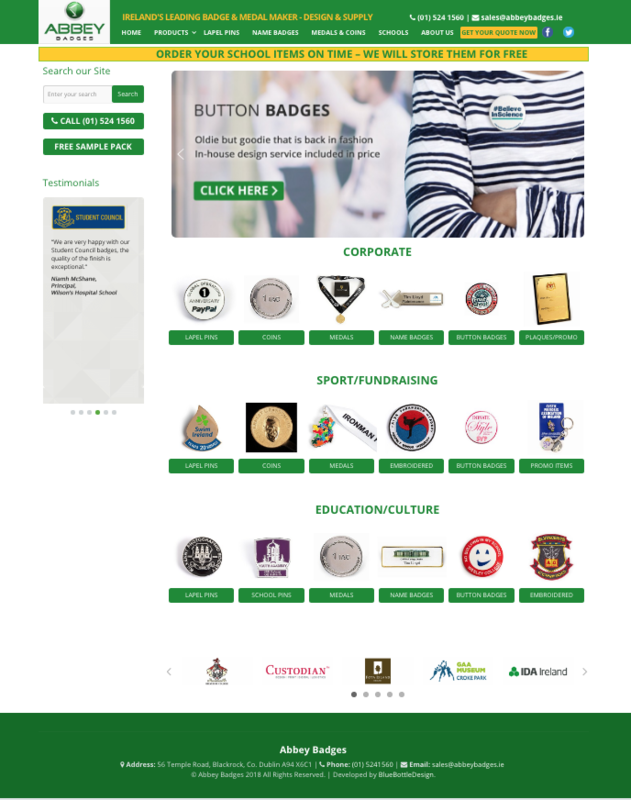 DMCM created a new Abbey Badges website using the new corporate brand guidelines that was user friendly and easy to access. With a gallery and zoom option, the site visitor can get the ultimate feel for Abbey Badges and locate what they are searching for without any hassle.